Colonialism is back; bold and unashamed. The West has decided to reclaim leadership in Africa. Only last week, I watched US Secretary of State, Mrs Hillary Clinton, give instructions to Kenyan politicians on how they should manage the affairs of Kenya. She demanded that the democratically elected ruling coalition in Kenya create a tribunal to try the perpetrators of last year’s post election violence. If not, she threatened, the International Criminal Court (ICC) will take over. A significant section of the Kenyan society think there should be a tribunal. But the Kenyan cabinet, composed of both the ruling party and the opposition parties debated this matter. In their wisdom, they decided it is better to pursue political reconciliation as opposed to punitive criminal justice. I share this view, like many Kenyans do and others don’t. And that is the beauty of democracy; once a decision is taken by the governing body, all should respect it. It is unwise to pursue punitive criminal justice when seeking to resolve violence born of political disagreement. This is especially so in circumstances where the balance of power between both sides to a conflict is close to an equilibrium. Under such circumstances, any criminal prosecution process would tend to reignite violence. Why? Because criminal justice tends to demonise “the other”! This drives the accused persons to resort to violence in self defense. The best path is political reconciliation. This was the basis of the success of Nelson Mandela in post Apartheid South Africa; Paul Kagame in post genocide Rwanda, even the United States after its civil war in 1864. In all these cases, the perpetrators of political violence were brought back into the political process through tough bargains. Decision making is never a choice between right and wrong. It is a product of serious trade-offs. But why did the US hail Mandela but is condemning Kenya for seeking a similar path? Unlike 19th century colonialism which involved the direct presence of colonial officials to implement colonial law, the new colonialism (Ghana’s Kwame Nkrumah called it neocolonialism) relies on lectures, instructions, intimidation and blackmail. It has put international institutions in place to specifically deal with African leaders – the best example being the ICC. NATO air strikes in Afghanistan are killing civilians in droves. Please watch if there is even a whisper about the culpability of any Western leader – America’s Barack Obama or Britains’s Gordon Brown. Old colonialism understood the importance of a combination of material and ideological incentives in recruiting local allies. So it Christianised Africans and provided minimum education for catechists and clerks in order to create an intellectual class in support of colonial rule. But it also provided material incentives – salaried employment, land grants, and other forms of colonial-state patronage. The agents of the new colonialism are secular missionaries promoting democracy, human rights and justice as is sang by the master i.e. without context. They refuse to acknowledge that pursuing them in complete disregard of context can produce results at odds with the intended purpose. The US refused to jam radio Mille Collines during the genocide in Rwanda in 1994 saying such action would violate the principles of free speech. The genociders enjoyed their freedom to mobilise for mass murder. 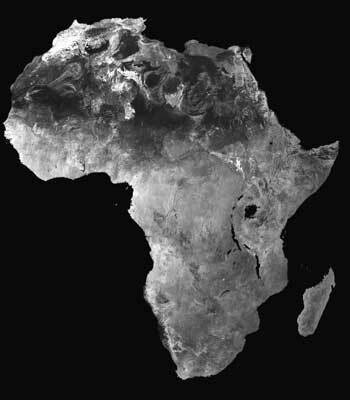 The agents of the new colonialism believe that Africa’s future lies in handouts of foreign assistance – financial, military, ideological, technical etc. By speaking in the master’s language, their supporters among local elites sound civilized and get accepted in the master’s councils. By promoting Western “assistance”, they get the jobs paid for in foreign aid projects. If previously the West lacked an authentic voice to convince Africans that they need to be treated like children, now it has that voice in Obama. Since he is considered black, he is the perfect instrument to tell us how to manage our affairs. African elites, with a deeply rooted peasant mentality of identity as the basis of cooperation, believe that since Obama is “black” then he represents their interests. Yet regardless of his African ancestry, Obama is an American president. His primary obligation is to serve American interests. Over the last century, the US has intervened in other countries not to promote democracy but its national interest. As experience shows, democracy has not been America’s allay in the pursuit of its interests abroad. Consequently, America has removed democratic governments and replaced them with its favored dictatorships – in Iran in 1953, Chile in 1974, Congo in 1960, etc. It has always used its military and intelligence services to bomb, invade or carry out clandestine missions in other nations. In none of these cases has democratic government come as a direct result. Instead, often democracy has developed in opposition to American interference. The US and other Western nations have always advanced the values of liberty, freedom and social justice only instrumentally when it serves their interest. But these values have never been meant to inform real Western practice. That is why the West pretends to be more concerned about democracy in Iran when it is in bed with some of the worst dictatorships in the Middle East – Egypt, Saudi Arabia etc. It seems to me that the use of democracy and human rights is the ancillary one of image-making. The urge behind the West’s increasing intrusion into Africa’s governance seems to be a desire to dominate the continent. This is now being expressed in the writings of two of the scholars receiving most funding for their work on how the West should “help Africa” – professors Jeffrey Sachs of Columbia and Paul Collier of Oxford. Their work has become very explicit in their contempt of Africa’s internal ability to reform itself. Increasingly, they are publishing works suggesting that the solution for Africa’s internal problems is “international” (actually read Western) assistance through foreign financial aid and military intervention. I will return to Collier’s bold suggestions about how countries of the “bottom billion” need international military intervention and governance instructions to become solvent in another article. Suffice it to say that if our founding fathers like Nkrumah and Patrice Lumumba who passionately believed in our sovereignty as a people came back today, they would not believe that half a century later, colonialism is making a comeback.